A high-profile welterweight match reportedly isn’t happening – yet. 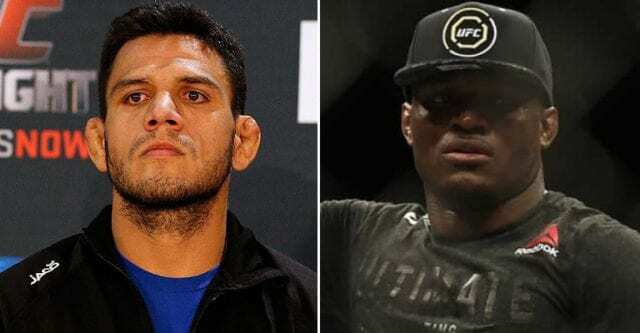 Word broke today (Wed., September 12, 2018) from Combate that recent interim title challenger Rafael dos Anjos would take on surging contender Kamaru Usman at November 30’s The Ultimate Fighter (TUF) 28 Finale from the Pearl Theatre at the Palms Casino in Las Vegas, Nevada. Former lightweight champ dos Anjos was last seen losing an interim title bout to Colby Covington in the co-main event of June’s UFC 225. He had previously been on quite the tear since moving up to welterweight, winning three straights bouts at 170 pounds. Meanwhile, the dominant Usman was last seen dominating former title contender Demian Maia in a lackluster unanimous decision win in Santiago, Chile, this May. The 17-1 contender has won all eight of his UFC match-ups since debuting as the TUF 21 champion in 2015. 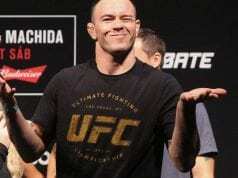 Usman has had a long-standing beef with former interim champ Colby Covington, who was stripped of the second-place title when the Tyron Woodley vs. Darren Till title fight began at last week’s UFC 228. We’ll keep you updated on this potential match-up.